We've previously talked about the new 2019 Volkswagen Jetta redesign in detail. 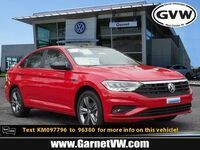 However, our previous mentions and articles regarding the 2019 Jetta have been specifically fixated on it alone, rather than in its relation to other models. That's why, today, we're going to compare the 2019 Volkswagen Jetta to another compact sedan on the market to test how much Volkswagen's newest iteration of the Jetta has improved! 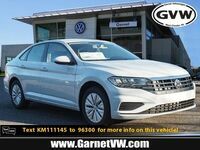 Seeing as the compact sedan is the standard of many car brands, that means there are many options for the new 2019 VW Jetta to compete against. 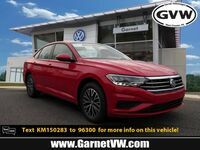 Here at Garnet Volkswagen, we've previously compared the Jetta against the Ford Focus, the Honda Civic, and the Subaru Impreza among others. For a change, we've chosen Hyundai's comparable sedan, the Sonata. Therefore, our matchup today is the 2019 Volkswagen Jetta vs the 2018 Hyundai Sonata! 6 yr. / 72,000 mi. Standard Warranty 5 yr. / 60,000 mi. 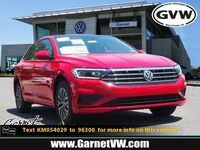 Here at Garnet Volkswagen, we have over a dozen of the new 2019 VW Jetta models in stock! Please, feel free to contact us to learn more. 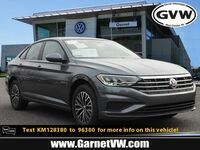 We can book you for a tour of our inventory and even a test drive with a 2019 Volkswagen Jetta trim of your choosing! 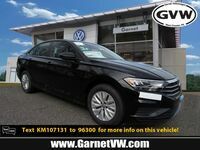 Beyond all of our words, you deserve the chance to witness the improvements of the 2019 Volkswagen Jetta in person!